Late to the Game - Sea of Thieves — GamingWithSwag.com - Dads By Day, Gamers By Night. 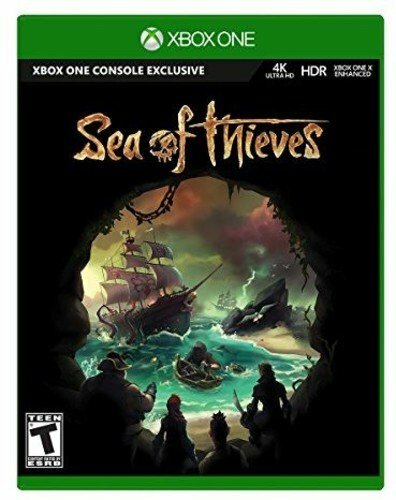 Amidst the summer drought of good new games with a few weeks until Spiderman drops I decided I had time to check out Sea of Thieves which is a game I was interested in early but when it was revealed to be entirely PvP i immediately soured on the concept. For much of August there was a new patch and limited time event called Cursed Sails so I figured participation and such would be up and I could give the game a fair shake. My fears were largely confirmed. For every cool player I met at least two jerks came along and the game has a lot of griefing players with limited ways to deal with them unless you outnumber them. Solo play while possible only works if you don't run into anyone who can easily destroy you and take everything you have. I then found a discord channel for people to form groups to play together and immediately started having some fun. The game is beautiful especially the water and the limited time event was intense and exciting. However, it is tough to play this game without a few hour session, and if you get a 4 man crew together you don't want to be the guy who breaks up the party. So for that reason I think many busy adults or parents will struggle with Sea of Thieves. Having said that forming an alliance of ships and taking down a horde of evil skeletons feels great and cashing in all the loot is really satisfying. I plan to keep checking in on this game, and if a pure PvE version emerges I may go in hard as the open world sandbox they built feels wholly unique compared to other online games where you feel like your adventure was unique and personal instead of carefully manufactured or on a rail. I have limited time to play each week though, and playing a game where a large portion of players are operating exclusively to ruin your day is tough to justify. And as a final warning I have never played a game more hostile to new players as the game does not teach you much of anything and you rely on the kindness of others to really get better or accomplish anything and that can be in short supply.